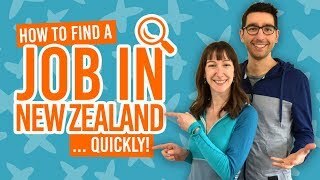 How to save money on food shopping when backpacking New Zealand. Compared to some other countries, food in New Zealand can seem pretty expensive. Some backpackers want to claw their eyes out when they see the price of dairy products, for instance. But, alas! We have found a few money-saving solutions when food shopping in NZ! 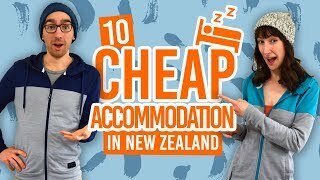 So take a look at these ways to save money on food when backpacking in New Zealand! For more ways to stick to a food budget, follow our tips on where to buy food from in New Zealand and check out some of our recipes like 10 Easy Meals to Cook in a Hostel in 10 Minutes. Every hostel in New Zealand has a kitchen. Use it and save! Here are some easy meals to cook in a hostel, if you need inspiration. For the love of backpacking, check the price per kg on every item! Price and packaging can be very misleading but supermarkets will tell you the price per weight or quantity as a tiny price in the corner of the food label. Backpackers who leave their food behind in a hostel practically donate to other backpackers. The best time to rummage is after 10am (check out time) every day. It’s pretty hard to cook for just one person so keep quantities to a minimum and save and eat any leftovers. Everything in the bin is money out of your pocket. However, it’s best to store food in your own food container rather than bowls and pots in the hostel. For more hostel etiquette, check out How to Live in a Hostel. Fresh items will be reduced for a quick sale. You’ll get “eyes bigger than belly” syndrome and buy much more! Such as the New World club card and OneCard in Countdown. This way, you will qualify to get the “club deal” prices on a great deal of the items in-store. New World also offers tourist cards which will get you the same discounts as a club card. Cooking with others means you can split the cost of food and make slaving over a hot stove fun. So you can use them in many meals again and again and again! Some ingredients are listed in Backpackers’ Food Shopping List: 10 Must Have Food Items. Yes, even on our Travel Deals tab, there’s a wide range of bars, restaurants, accommodations and cafes posting their latest and exclusive deals. Check out the deals tab and see what you discover! If you are reading this, then we guess you like food.